AT&T announces first three cities to receive 5G wireless, including Dallas, TX. Home / Articles / Dallas to receive AT&T 5G first! 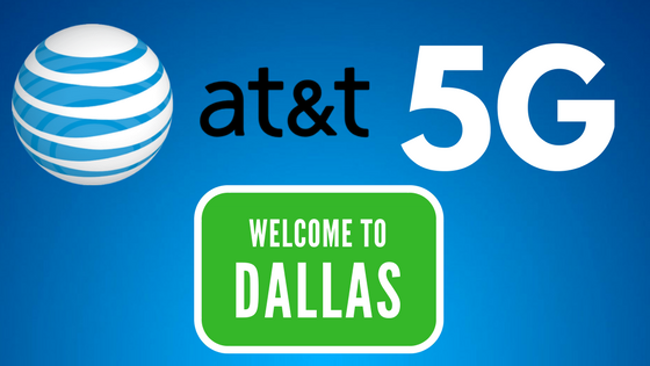 Dallas to receive AT&T 5G first! Great news for AT&T Wireless clients in Dallas, you are going to have a substantially faster option for your wireless data service soon. AT&T announced late Tuesday that Dallas would be among three cities receiving the inital rollout of the 5G wireless network. The other cities to be included are Waco, Texas and Georgia's capital city, Atlanta. 5G is the successor to 4G, promising maximum speeds up to 10 times faster than currently available. Last year AT&T announced intentions to build a new network called 5G Evolution, which it turned out was more marketing stunt than technological leap. At the time no offical classification had even been created for 5G. In December that finally happened, and AT&T's newest announcement is indeed for a "true" 5G network featuring milimeter wave technology, an entirely separate wireless spectrum from current 4G networks. AT&T has also confirmed that all infrastructure they are currently installing in cities other than those involved in this early rollout is 5G ready, so hopefully 5G will be introduced nationwide in the next couple of years. Until then, our Dallas smart home clients will have wireless speeds nearly as fast as they have at home. With the speeds 5G promises we might even be able to run your home automation on a wireless based network in the next few years.